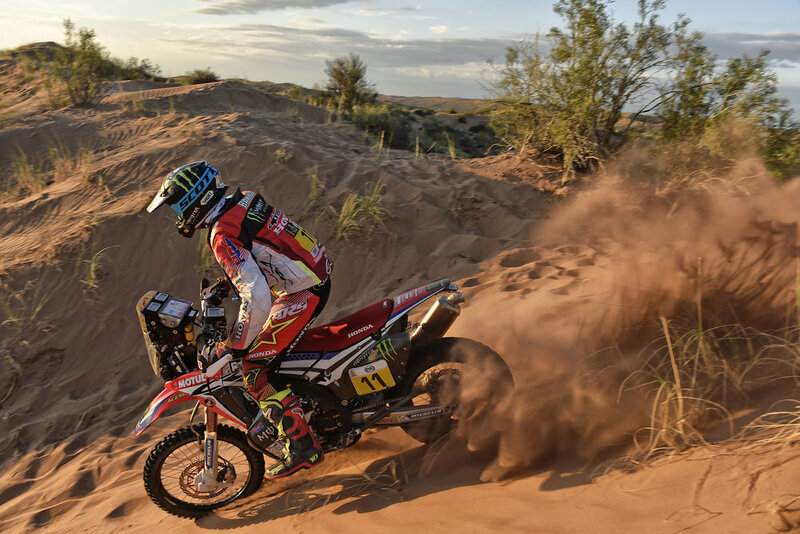 Once again on top form, Joan Barreda picked up his 4th stage victory but will not be able to prevent Sam Sunderland from winning his first title on the Dakar tomorrow. 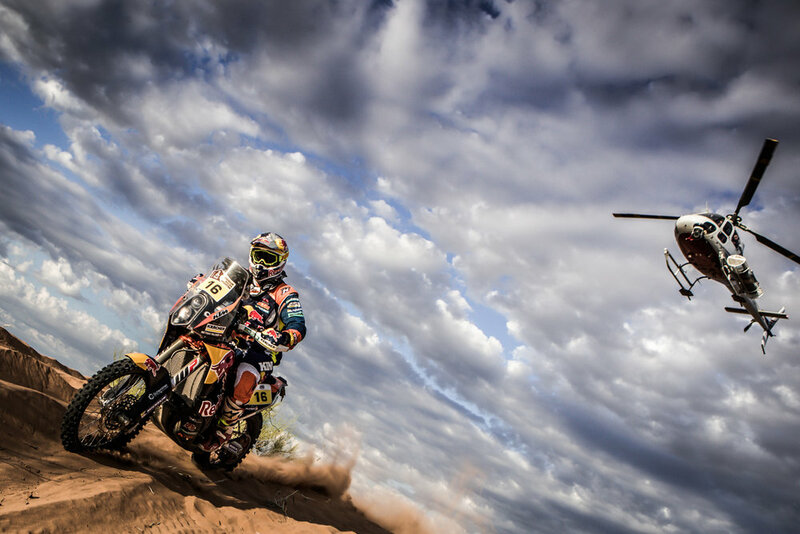 Red Bull KTM factory rider duo Sam Sunderland and Matthias Walkner wrapped up the penultimate stage of the very tough Dakar Rally on Friday and head for the finish line in Buenos Aires on Saturday in overall 1-2. With just one short timed special left, it will be a remarkable achievement for these riders to reach the finish in top positions. Both are hoping for a career first – to be at the finish line of this epic, 9,000km trek through South America. British rider Sam Sunderland goes into the final stage (786 km in total, but just one final 64 km timed special) with a solid 33-minute lead over Matthias Walkner. Close behind him are two opponents in French rider Adrien Van Beveren and Spain’s Gerard Farres Guell (KTM) at 37.10 and 37.22 minutes behind the leader. Putting in a great fight today in the mountains of Argentina, Adrien Van Beveren claimed a strong third place result during the 2017 Dakar Rally's penultimate stage. Currently fourth in the rally's provisional overall standings, the Yamalube Yamaha Official Rally Team rider is determined to give his all to bring Yamaha on the rally's final podium. "Stage 10 was going good for me. I felt comfortable and confident and I had the speed. Early on a tip-over damaged the motorcycle but I went on to win the first special. Then, six kilometers from the finish, the bike died on me and that was the end of my Dakar. I called for some water and they told me that it wasn’t safe for me to stop there and wait to get a tow. They made me go to the helicopter to get a ride to the finish-line, which was six or seven kilometers from where I was. That was the end of my Dakar. Next year I hope to come back and finish better than I did this year."